The Verge reports Verizon and T-Mobile are also now allowing customers to exchange their "safe" Note7 replacement devices. That means all four major carriers have elected to do so. The Galaxy Note7's tendency to explode and its subsequent recall have been well-publicized, but it appears that the issue wasn't completely fixed. 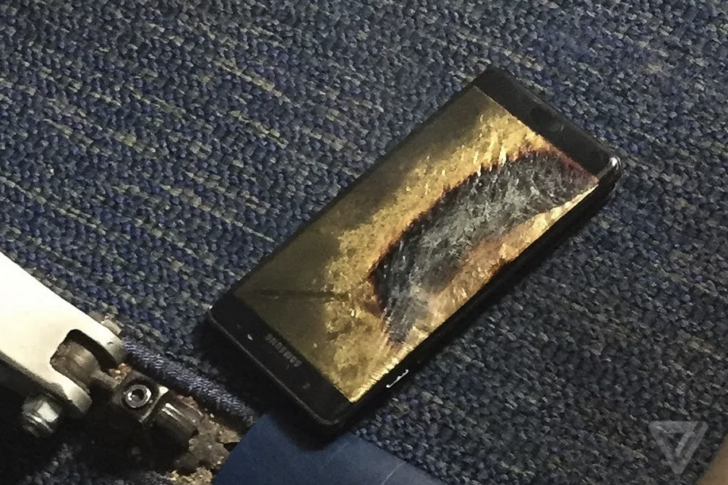 Following the explosion of a revised Galaxy Note7 on a (not yet in the air) Southwest Airlines flight, American carriers AT&T and Sprint are permitting any concerned customers to exchange their 'safe' replacement Galaxy Note7s for any other smartphones they have available. Although both Samsung and the CPSC are still investigating the incident, AT&T and Sprint are already offering to swap customers' replaced Note7s with any other phone; that includes the newly-announced iPhone 7 and 7 Plus. A Sprint spokesperson stated, "If a Sprint customer with a replacement Note 7 has any concerns regarding their device, we will exchange it for any other device at any Sprint retail store during the investigation window." A few hours later, an AT&T rep told 9to5Google, "AT&T customers with replacement Note 7s are able to exchange them for another device." Although Note7 owners were already able to return their defective devices for a refund and purchase another phone on their own, the fact that carriers are streamlining the process for customers with the new replacement phones is a bad sign. In fact, T-Mobile has already been giving customers that had Note7s replaced the same 14-day return policy that comes on new phones; it's not exactly the same as what Sprint and AT&T are doing, but it's worth noting. We've reached out to T-Mobile and Verizon for comment on whether they plan to offer customers a similar exchange plan. T-Mobile, for now, appears to be sticking to its guns. Owners get the standard 14-day return policy, but T-Mo isn't offering any special return considerations for replacement Note7 devices at this time. Customers can do a ‘remorse return’ within 14 days of purchase and get a full refund, or use that to buy any other phone we carry. We've yet to hear back from Verizon.